Published on January 30, 2019 in Featured Article and National. Closed Tags: Aquajet, Aquajet Systems AB, bridge decks, bridges, concrete, construction, Contractor, Demolition, employment, equipment, hydrodemolition, infrastructure, safety. 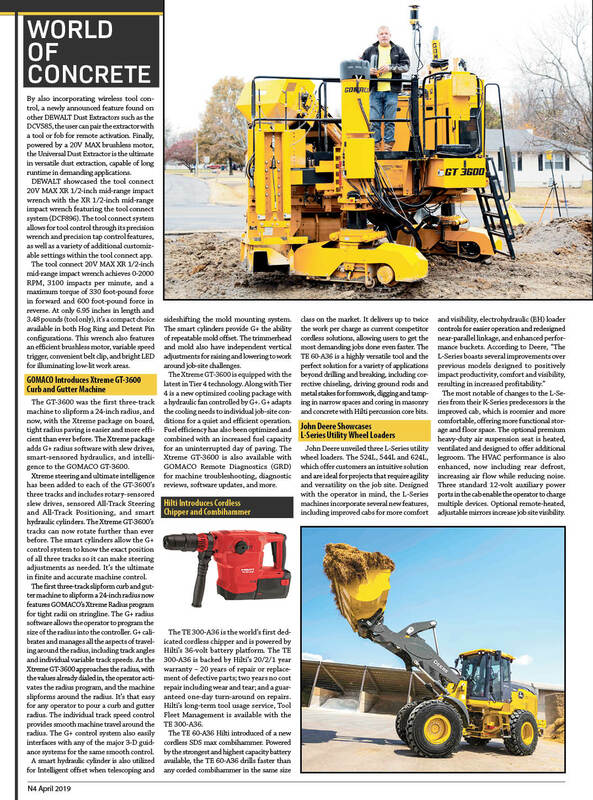 Published on March 2, 2017 in Daily Dirt and Industry Activities. Closed Tags: AEM, Aquajet Systems AB, Brokk, CONEXPO-CON/AGG, construction, construction industry, contractors. 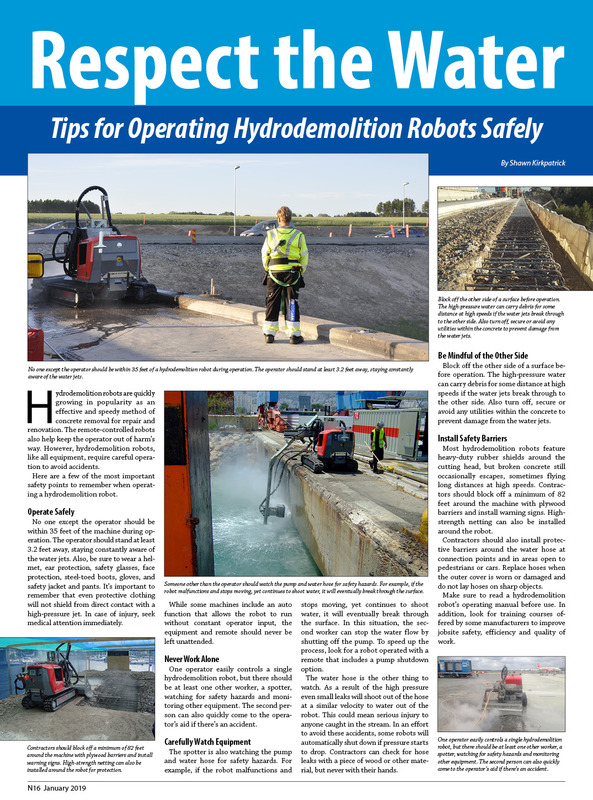 Brokk, a leading manufacturer of remote-controlled demolition machines, recently acquired Aquajet Systems AB, a global supplier of hydrodemolition robots. The acquisition expands the application solutions offered by Brokk in the construction and demolition industry. Aquajet Systems specializes in concrete renovation by using extremely high-pressure water jets to remove concrete without harming the underlying rebar or causing microfracturing. The machines are ideal for a variety of selective demolition applications, including bridge and road repair. 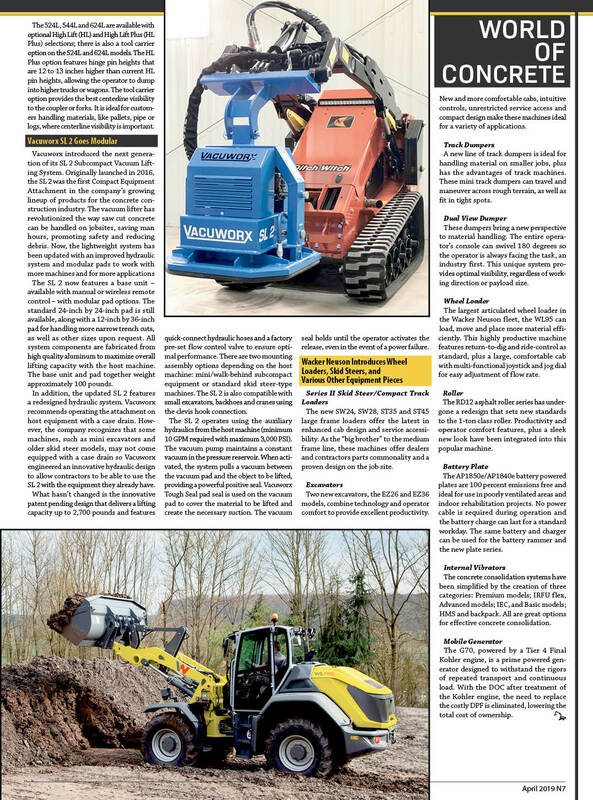 The two brands will share booth B90703 during CONEXPO-CON/AGG. 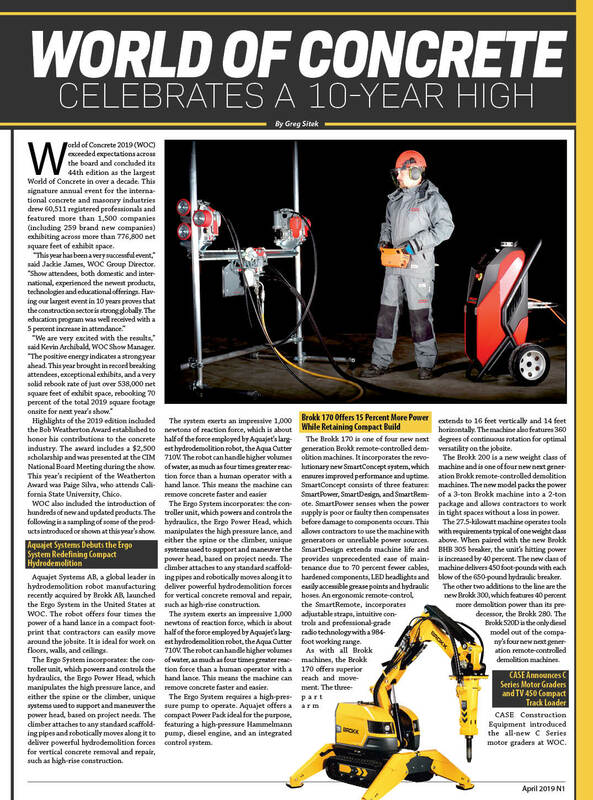 The Holsbybrunn, Sweden-based company shares Brokk’s vision for continuous product development and global innovation, and has enjoyed strong upward sales growth over the last several years. Aquajet Systems was formed in 1988 and manufactures a full line of Aqua Cutter robots designed for a variety of applications, including bridge and road repair, tunnel repair and nuclear power plant rehabilitation and refurbishment. By varying the flow and pressure of water through the specially designed ceramic nozzles, the machines can easily remove areas of loose, deteriorated or even sound concrete to a predetermined depth. The robots feature diesel or electric power and are compatible with Aquajet Systems’ line of accessories, which include rotolances and circular power heads. The company also manufactures large power packs and mobile water treatment systems. “Our sales and service team in the U.S. is excited about adding this state-of-the-art hydrodemolition equipment to our product offering. 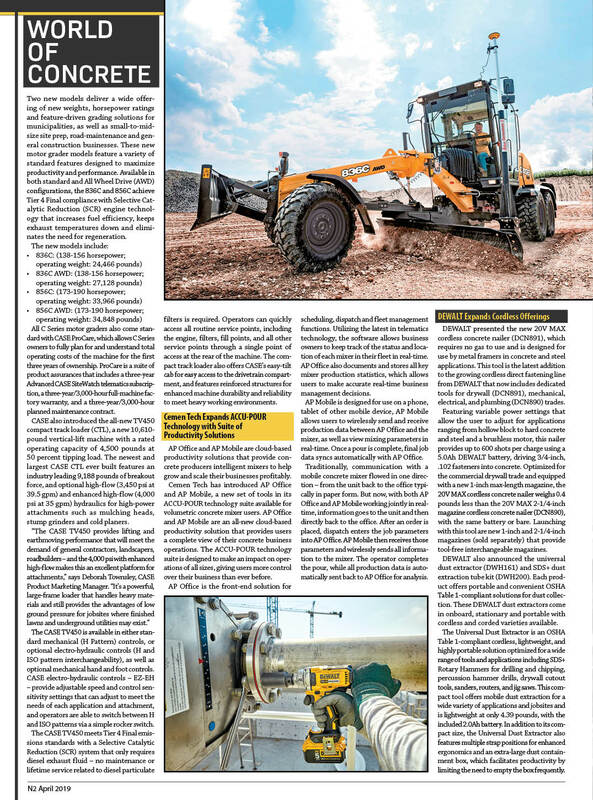 Our existing customer base has already expressed interest in adding Aquajet’s unique capabilities to their contracting services,” said Peter Bigwood, VP Sales & Marketing for Brokk Inc. Both companies will maintain current management with the acquisition.